Celebrating a young lady’s coming of age need not be exorbitant and extravagant. Sometimes, the party being private and intimate is what makes it absolutely special. 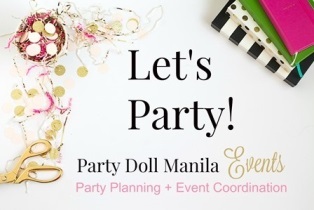 Today’s party feature is the perfect example of that, and this is why we’re excited to show you Trish’s 18th birthday sweet soiree. Another reason to love this gorgeous debut? Its delightful take on a tropical theme, which brings in a different level of sophistication. Charming and chic: perfect words to describe the party, and a beautiful lass who’s on the crossroads between childhood and adulthood. Design elements revolved around balloons, pineapples and leaves, and the venue was set in verdant, with subtle pops of orange, pink and peach. The venue itself, Cafe Naya at The Palace Pool Club, exuded the perfect tropic ambiance with its wooden chairs and hibiscus-clad couch. Confetti Parties MNL did an awesome job of bringing this inherently sun kissed affair indoors. Ready to swoon at this lovely tropical bliss? Scroll on right down for some Mhel Mesa Photography captures. Guests were ushered in by this simple display of greenery. Pink and peach balloons were added as color accents and a straightforward sign assured the guests that they’re in the right place. Foliage and festive balloons floated effortlessly overhead. More leafage was added to further set the outdoor vibe, while the orange balloons remind me of the sunset glow. Tablescape was amped up with leaves and balloons as runners, and pineapples as centerpieces. This set-up, complemented by the floral design of the long couch, is what tropic dreams are made of! ‘Simplicity is the ultimate sophistication”, according to Leonardo Da Vinci. Perhaps this was what The Sweet Life by Ange had in mind while she was whipping up this confection. This confetti-inspired, 2-layered sweet goodness is actually a pastel rainbow cake inside! Perfect for a young lady with an understated outside elegance, and an unbending child-like exuberance within. It’s foliage frenzy! Guests flashed their snazzy smiles at this tropical yet chic photo wall. Here’s Trish, the stunning debutante. I was wondering where you got the tropical leaf background for the photo section?